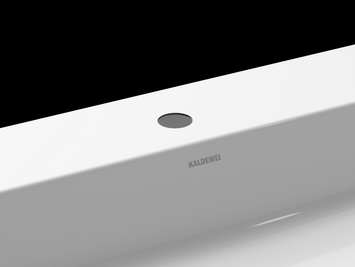 KALDEWEI’s sound insulation wall anchors securely attach the bathtub or shower tray to the wall. 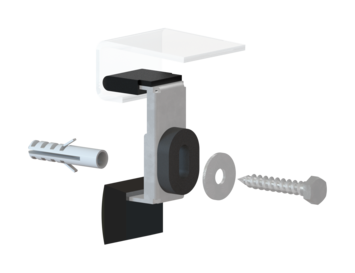 A set consists of two single wall anchors that are quick and easy to attach in any installation situation. View all downloads on Wall anchor in our Media Centre. View all downloads on ALLROUND bath pedestal in our Media Centre. Models: ASYMMETRIC DUO, CAYONO, CONODUO, ELLIPSO DUO, ELLIPSO DUO OVAL, PLAZA DUO, PUNTA DUO 3, PURO, STUDIO / STUDIO STAR, TWIN POOL, VAIO DUO 3, VAIO 6 / VAIO 6 STAR. The pedestal is height adjustable and - in combination with the KALDEWEI sound insulation set BWS - sound insulated to DIN 4109/A1. View all downloads on Special pedestal: ASYMMETRIC DUO, CAYONO, CONODUO, ELLIPSO DUO, PLAZA DUO, PUNTA DUO 3, STUDIO / Star, TWIN POOL, PURO /DUO, VAIO DUO 3 and INCAVA in our Media Centre. Models: CENTRO DUO OVAL 180 cm, CENTRO DUO 180 cm, CENTRO DUO 1 left and right 180 cm, CENTRO DUO 2 180 cm, CLASSIC DUO 180 cm, CLASSIC DUO OVAL 180 cm. The pedestal is height adjustable and - in combination with the KALDEWEI sound insulation set BWS - sound insulated to DIN 4109/A1. View all downloads on Special pedestal CENTRO DUO, CLASSIC DUO OVAL in our Media Centre. View all downloads on Special pedestal DUO POOL in our Media Centre. 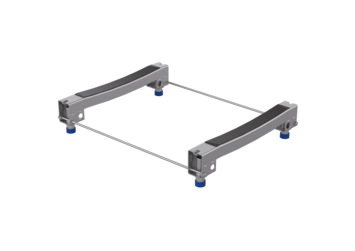 Bathtubs may be supplied with pre-drilled mounting holes in the rim for taps or retractable shower hoses, for perfect integration creating a harmonious overall aesthetic. No tap holes possible for models 111, 127, 128, 174, 232, 676, 951, 1111, 1113, 1127, 1128 and 1174.